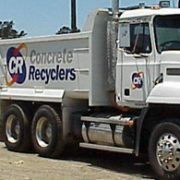 Concrete Recyclers is one of Sydney’s leading recyclers of brick and concrete in the building and construction industry. It is a very busy operation that has hundreds of truck movements receiving and delivering construction materials to and from their yards daily throughout Sydney. A key aspect of the operation is efficiently processing the trucks through weighbridges at the yards. The sheer volume of trucks makes this a challenge every day, and from time to time these trucks were left queuing for hundreds of metres down the road when the company’s aging in-house computer network and backup solution suffered outages. The business also relies on its IT system to manage all day-to-day operations, from processing sales and orders to managing pick-ups and deliveries, so an outage would mean significant downtime costs. “It immediately creates a loss in revenue to the business and that can be significant – tens of thousands of dollars – in a short period of time,” said Craig Long, General Manager of Concrete Recyclers (Group) Pty Ltd. Furthermore, not being able to process transactions would have a knock-on effect on Concrete Recyclers’ private enterprise and government customers, and their construction projects. Outages in the past that lasted up to several days amounted to immense losses for Concrete Recyclers and its business ecosystem. “That’s not just the loss in downtime for our staff but sales and tipping of products through our yard. Such delays caused to our customers have a significant impact on our reputation and direct effect on our existing and future business,” Long added. In a move to eliminate any further delays, Concrete Recyclers worked with Sydney-based managed service provider and Community Partner of the Year Golden Datto winner, Interlinked, to implement the Datto SIRIS. The solution solved the company’s replication issue and provided a complete business continuity solution. With the SIRIS, the business can spin up failed servers to the device or the Datto Cloud within seconds through instant virtualisation technology. Downtime from server failure is also no longer a concern. “We moved from an old system to a thoroughly 21st century model that’s now leading edge,” Long said. The new system was put to the test when the company suffered a recent ransomware attack. With their network locked up, the company was again unable to process transactions and trucks began to line up. However, unlike previous instances, Interlinked was able to restore Concrete Recyclers’ system within the hour using the last backup taken shortly before the attack. “We were able to reboot the system through Datto, otherwise we could have been potentially down for days rather than an hour if the previous system was still in place,” Long said. With Interlinked and Datto, the company no longer worries about long periods of downtime, or losing construction customers to other competitors. In turn, its customers can complete their work on time, avoiding building delays at sites across greater Sydney. “Appointing Interlinked as our IT partner has allowed our company to go through a digital transformation, which successfully increased our workload through put by 30% whilst decreasing our human resources costs by $300,000 per year. These were made possible by the enhanced efficiencies and uptime provided by Interlinked,” Long said. “We’re very confident now that we’ve got state of the art technology – we’re now leading edge in hardware and software, and the latest addition to that was the installation of Datto,” Long added.